Stevens Institute of Technology's SURE HOUSE placed first overall at the U.S. Department of Energy Solar Decathlon 2015. The team earned first place in the Architecture, Market Appeal, Engineering, Communications, Appliances, and Home Life contests, and placed second in Comfort Zone. 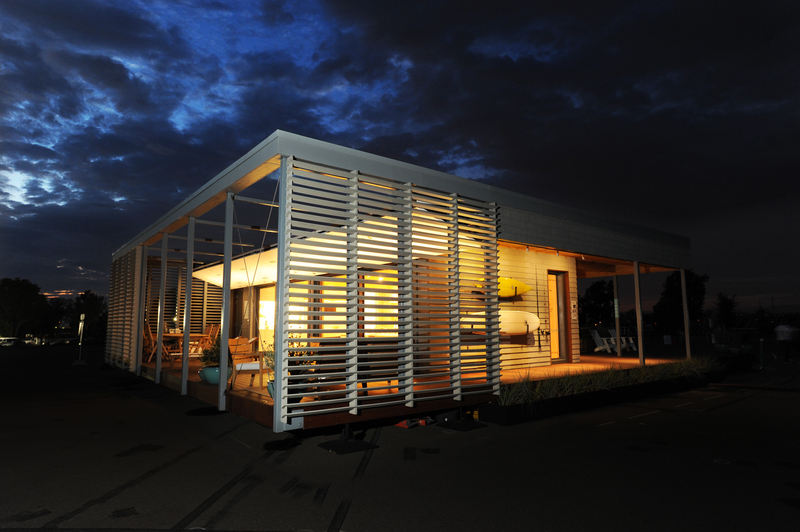 After the Solar Decathlon, the SURE (sustainable + resilient) HOUSE was delivered to New Jersey. It is open to the public at the Liberty Science Center as a permanent public exhibit and part of the museum with a focus on sustainable building. SURE HOUSE at Solar Decathlon 2015 (credit: Thomas Kelsey/U.S. Department of Energy Solar Decathlon). Public tours: Stop by the Welcome Desk in the lobby to sign up for a 20-minute tour (recommended for age 13+). Visit lsc.org/visit/directions for more info.